Carbon Fiber AGV Sportmodular Helmet Arrives in the U.S. This innovative helmet combines MotoGP-level protection with modular versatility. 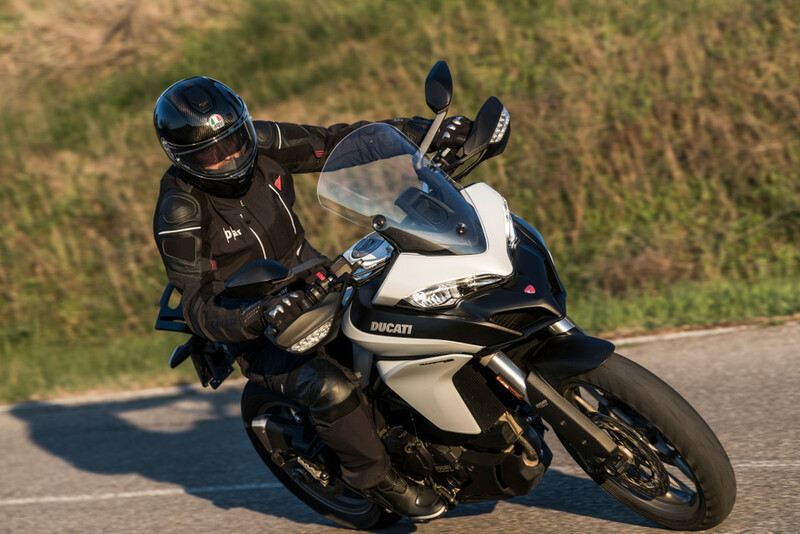 Italian brand AGV has been an innovator in motorcycle helmets for 70 years. 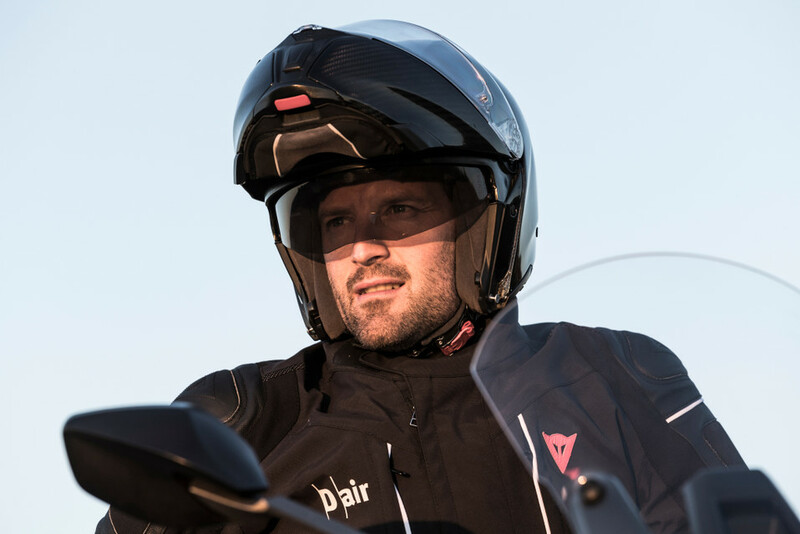 Its latest offering, the Sportmodular helmet, is proof that AGV is still on the cutting edge of technology and innovation when it comes to protecting your head when you're on two wheels. The new helmet is now available in the U.S. in seven different sizes and seven different colors. Prices range from $749.95 to $849.95 depending on graphics. The AGV Sportmodular has the distinction of being the first modular helmet on the market with a shell made entirely of carbon fiber, including the chin guard. This extremely strong and lightweight material is ideal for a motorcycle helmet shell for reducing rider fatigue with less weight while offering the best possible protection. The Sportmodular tips the scales at just 1,295 grams, or 2.9 pounds. The AGV Sportmodular isn’t innovative just because of its materials. It boasts other impressive features like a panoramic visor with 190 degrees of peripheral view, premium interior materials with a reversible cuff with a hot and cool side for all-season comfort, three major ventilation points hollowed into the shell, and an adjustable integrated rear spoiler for stability, quietness, and riding comfort. What makes the AGV Sportmodular such a big deal is the fact that it combines the protection of a MotoGP helmet with the practicality of a modular helmet which is popular with the touring crowd. Keep an eye out here on The Drive for a full review of the AGV Sportmodular later this Spring. These helmets will call for help as well as protect your noggin.